CoilyQueens™ : What, you've never heard of Toni Daley? Toni Daley is a natural sister on the move! Modeling the Toni Wig! Get it here! Toni Daley is a wig designer, jewelry designer, youtuber, daughter and wife! I became familiar with Toni Daley through her youtube channel. I enjoy her natural hair tutorials, product reviews and the way she highlights black owned businesses. In addition to her main channel she also vlogs with her wonderful supportive husband and precious dog Marley. You must visit her website Toni Daley.com, and check out her fabulous natural looking wigs. She has two great sellers. The Gabe wig and the Toni Half wig. She also has a large selection of beautiful afrocentric handcrafted earrings at a great price. The Toni Half Wig is a top seller, order now it sells out fast! Let's learn more about this fabulous natural sister! CoilyQueensRock: Toni you are natural, right? Toni: Yes, I am 100% natural since 2007. 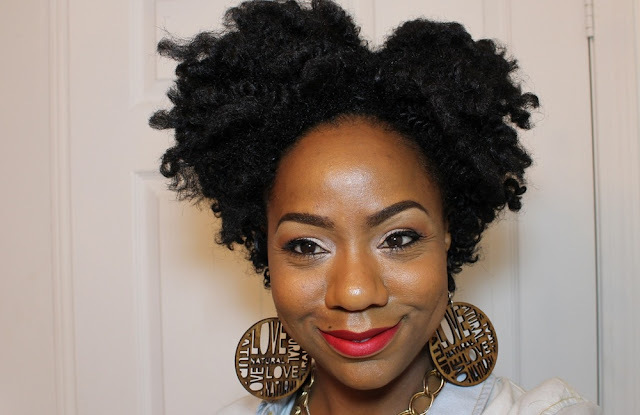 CQR: What prompted you to go natural? Toni: After deciding not to relax my hair anymore I decided to try braids. I fell in love with braided styles and experimented with box braids, microbraids, curly braids, human hair braids, cornrows, you name it...I tried it. I wore braids for about 2 years straight. When I decided to give the braids a break I was shocked at the thick head of natural afro textured hair I had grown and fell in love with my new found texture. CQR: What has been your biggest challenge being natural? Toni: I really don't have much challenges being natural especially now that there are so many more options available for us in terms of both products and styling. CQR: What has been your biggest reward from being natural? Toni: My biggest reward is definitely the platform I've built online and being able to inspire thousands of women to rock the hair they were born with and letting little girls know that they are beautiful just the way they are. 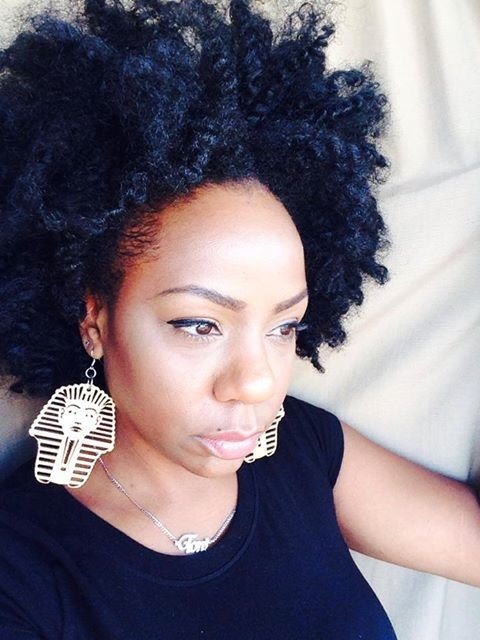 CQR: Do you have specific natural hair goals? Toni: My hair goals really haven't changed since going natural. Relaxed or natural my goals have always been to have a head full of healthy hair and to have fun with my styles. CQR: I have enjoyed subscribing to you on youtube for over a year, it seems. How long have you been on youtube? Toni: I've happily been making videos on YouTube for about 5 years now. CQR: How long have you had a passion for designing earrings? 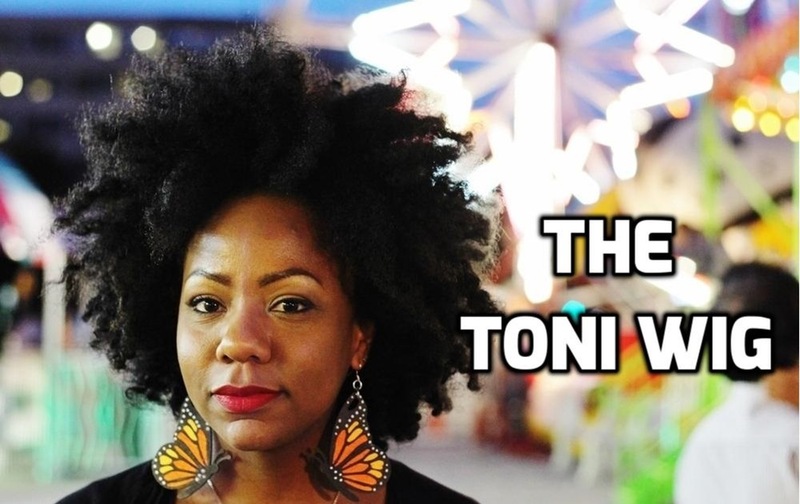 Toni: When I fell in love with being natural I really wanted to be able to express that through my clothing and accessories as most naturals do. 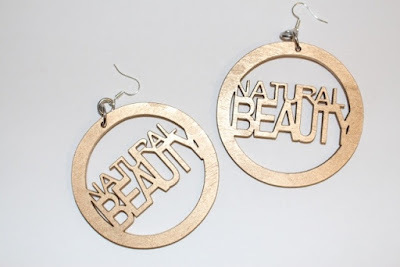 I started purchasing natural hair t-shirts but what I really wanted a pair of afro pick earrings. Back in '07 there wasn't the market that there was now and I just honestly couldn't find any...so I decided to make them and that's how I got started. CQR: Your Toni Wig and Gabe wig is on point and fabulous. What inspired you to start designing wigs? Toni: I've always been a fan of extensions, particularly half wigs when I was relaxed. That didn't change when I went natural but it did become harder to find half wigs that blended with my own natural hair. I always tend to think that if it's a problem for me, it must be a problem for other women out there so I decided to create my own and introduce them onto my site. I started with the Toni wig which mimics my own 4c hair. After that I collaborated with one of my favourite YouTubers Gabrielle of TheGabeFix to create a wig which mimics her infamous twist outs on 4b hair. I introduced a new style 3 months ago called 'The Big Chop' wig which is a short natural hair wig in the popular tapered cut style. I hope to have new styles in the future as well. CQR: Can we expect any new wig designs in the near future? Toni: I introduced a new style 3 months ago called 'The Big Chop' wig which is a short natural hair wig in the popular tapered cut style. I hope to have new styles in the future as well. The Big Chop Wig! Order here! CQR: I love your earrings and accessories. What can we expect from ToniDaley.com for this Fall or next Spring? Toni: I'm an artist at heart and love to create so you can always be on the look out for new designs on my site! This fall you can expect new artwork, earring designs, and wig colour options! Infinite earrings get them here! Blue head wrap order now! Natural Beauty earrings! Order now! Enjoy her day to day life with her supportive witty husband and their super cute dog, Marley. Tell her Vee sent you! For fabulous earrings, wigs and accessories visit Toni Daley.com. Ms. Vee, it's very unlike you to showcase an actual person within the community. I got my eyes on that Gabe wig of hers. Can't wait to purchase it! Thanks for reading. I do promote lots of sister businesses on my FB page. 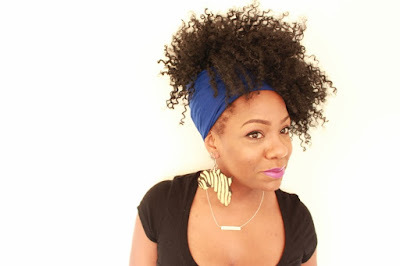 Toni Daley is awesome and I think lots of my subscribers would love her wigs and jewelry. Thank you so much for the feedback and for reading always. Blessings!! !